These beautiful new homes surround the Cadence Central Park and feature patios, decks and courtyards. These enhancements enable homeowners to let the outside in and take advantage of the views of Central Park. 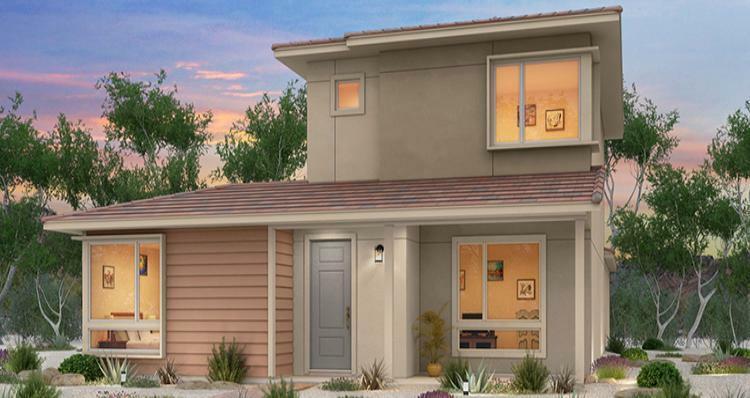 Gardens at The Park by Woodside Homes features new one and two-story homes that range in size from 1,833 to 2,325 square feet, modern designs and the latest technology in energy efficiency to build a home with lasting value for you and your family. Gardens at The Park is located within the Cadence Master Plan in Henderson, Nevada. Cadence has over 450 acres of open space featuring parks, community pool and splash pad, walking trails and bike trails. Unique features include a 100-acre sports park and the area's only free residential bike-share program. Cadence Master Plan is now home to over 1,100 families! Come see what the excitement is about.